Is nothing sacred? Not to cats! 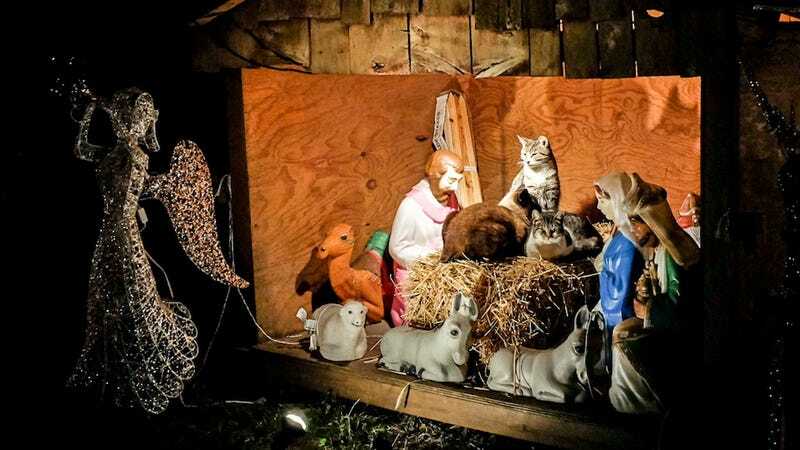 RLJR News (via DNA Info) reports that every year, a colony of feral felines seizes control of a nativity scene organized by two Brooklyn sisters. As soon as the creche comes out, with its hay bale and warm lights, the cats take up residence. Photo courtesy RLJRNews / Rafael Lopez, Jr.